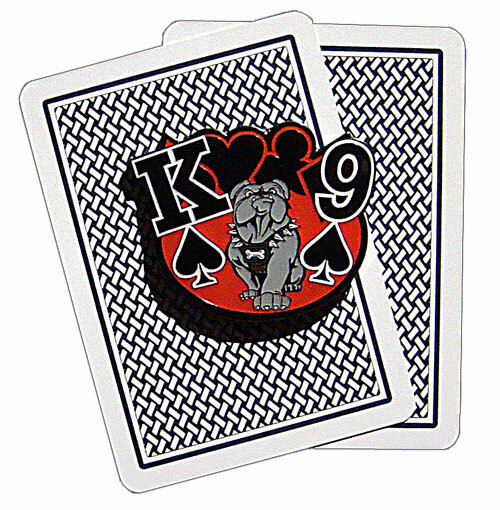 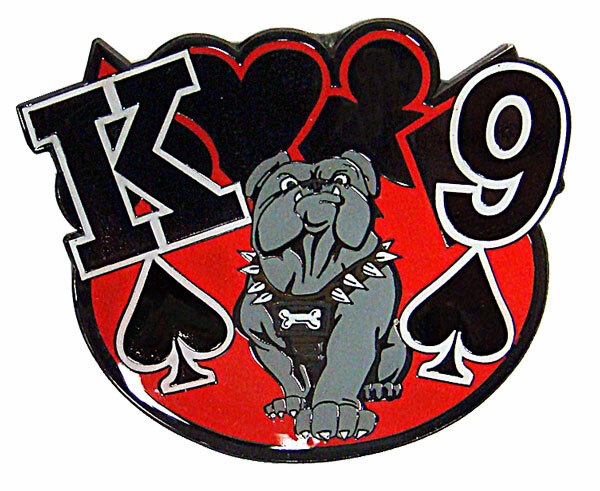 * This individually hand-painted shiny brass card guard depicts a bull dog between a King and Nine of spades. 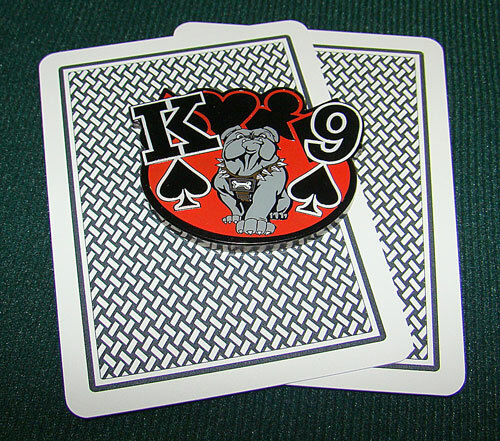 Represent your favorite hand or dog with this eye-catching card guard. 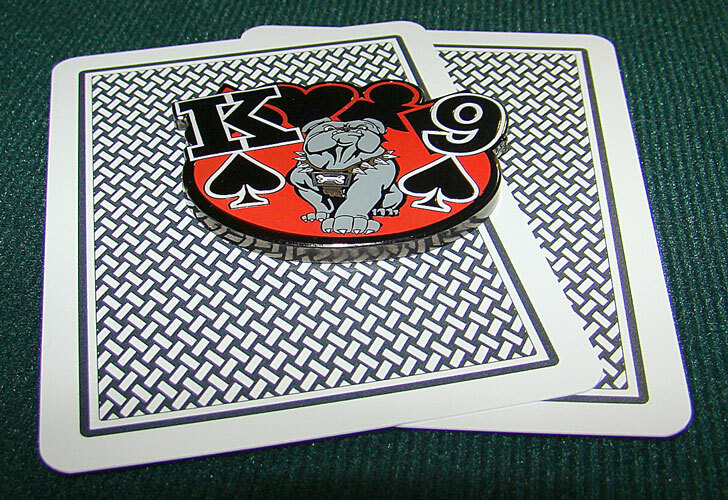 Protect your cards in style.